The Bombay High Court also asked the Goa government advocate whether the Chief Secretary could argue on behalf of the Chief Minister for his right to privacy. 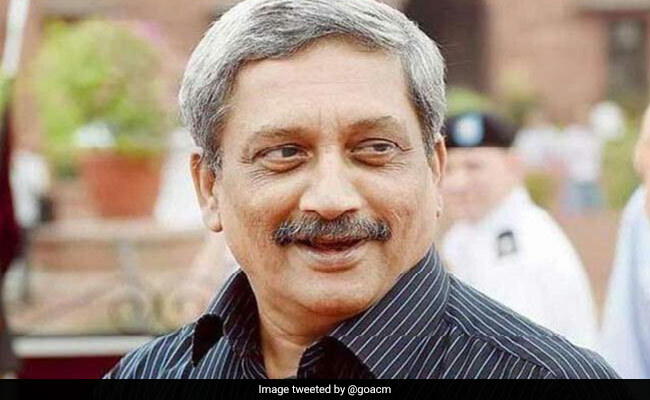 The Panaji Bench of the Bombay High Court today asked the Goa government if the medical report on the health condition of ailing Chief Minister Manohar Parrikar could be presented to the court in a sealed cover, while posting the matter for hearing on Wednesday. While hearing a petition filed by a local politician Trajano D'Mello, who has sought to know the health status of Mr Parrikar, Justice RM Borde also asked the government advocate whether the Chief Secretary could argue on behalf of the Chief Minister for his right to privacy. State Advocate General Dattaprasad Lawande is expected to appear before the court and argue on the points made by the court vis-a-vis the petition, when the hearing resumes on Wednesday morning. D'Mello in his petition filed last month sought that the court direct State Chief Secretary Dharmendra Sharma to evaluate the former Defence Minister's health condition with the help of a panel of expert doctors and release the medical report to the public. In an affidavit filed before the court last week, the Chief Secretary said that since the petition was political in nature, the health status of Mr Parrikar could not be disclosed on grounds of privacy. The court also asked the government lawyer if the top bureaucrat had consulted Mr Parrikar before filing the affidavit last week. Mr Parrikar is suffering from advanced pancreatic cancer and has been in and out of hospitals in Goa, Mumbai, New York and Delhi for nearly nine months. He returned from New Delhi's All India Institute of Medical Sciences on October 14 and has not moved out of his private residence for any official event since. The Opposition as well as ruling coalition allies have been demanding the resignation of the Chief Minister claiming that the administration has come to a standstill due to Mr Parrikar's prolonged absence.